A modern and innovative tertiary institution, Stanley College is a leading Registered Training Organisation delivering high quality VET education and training to both international students from across 42 countries and domestic students in Perth. Founded in 2008, Stanley College offers its international students careers and university study pathways in the areas of Hospitality, Business, Leadership & Management, Health, Aged Care, Child Care, Security Operations and General English/ELICOS. The college offers students certificate and diploma programs to provide students with the necessary skills and knowledge to gain employment in the Australian industry. Located in Perth City, Stanley College is within walking distance to the Central Business District, Perth Central Railway Station and the State Library of Western Australia. Stanley College boasts two campuses; Main Campus and Francis Street Campus. Stanley College also offers recognised qualifications for further studies at a number of Australian Universities. Successful international graduates of the diploma programs offered by Stanley College may be granted direct entry with an advance standing into Australian university courses. Universities that Stanley College has an articulation agreement include Le Cordon Bleu, CQ University Australia and Edith Cowan University. Vocation Education and Training - VET provides students with the skills and knowledge required to gain employment. Stanley College offers a wide range of VET courses in Business, Management, Hospitality, Health and Child Care. Higher Education Pathways – Stanley College will assist students to enroll in any Australian University after successfully completing a Stanley College Diploma course. Students may gain up to 8 units or one year advanced standing in Bachelor of Business and Commerce courses from most Universities in Australia. 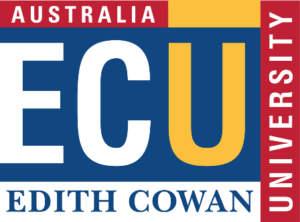 Awarded university status in 1991, Edith Cowan University (ECU) is a multi-campus institution located in Western Australia. A proud history of more than a century of service to education in Western Australia, ECU was awarded a five-star rating for Teaching Quality, Graduate Satisfaction and Graduate Starting Salary in The Good Universities Guide 2015. In addition, ECU courses often offer direct links with industry and organisations by providing students work placements and real work projects. Stanley College students who have successfully completed a diploma course and meet ECU’s admission requirements will be granted entry into selected Bachelor courses. Furthermore, students will gain up to 8 units or one year advanced standing towards the Bachelor of Business (any single major excluding Accounting) or Bachelor of International Hotel and Resort Management. Stanley College student who successfully completed a Diploma/Advanced Diploma of Management will gain up to 11 units or 1.5 years advanced standing towards the Bachelor of Business. Founded in 1895 in Paris, Le Cordon Bleu is the world’s largest hospitality education institution with over 50 schools located in 20 different countries across the world. The institution has become synonymous with excellence in the culinary arts. World class teaching professionals at Le Cordon Bleu provide the finest education training in Gastronomy, Patisserie, Cuisine, Hospitality and Management. Stanley College students who have successfully completed a Diploma and/or Advanced Diploma of Hospitality will be granted entry to two undergraduate study programmes – Bachelor of Business (Convention and Event Management) and Bachelor of Business (Tourism Management). The two degree programs were designed with extensive input from the industry and incorporate work-based learning experiences. Upon graduation, graduates will be well equipped with the essential skills, qualities and confidence to succeed in middle and upper management roles. Employment Opportunities – Stanley College has dedicated Employment Liaison Offers to build close ties with industries and works closely with industry partners to find work placement and/or paid employment. Students holding a valid student visa can work 40 hours per fortnight while your course is in session, starting from the course commencement date. You can work unlimited hours during scheduled course breaks (full-time work is generally 38 hours per week). This provides student with opportunities to improve their English and to integrate into the community. Work based training components in some of the courses ensures that students are job-ready at graduation and have competitive advantages over peers in job hunt. This work-based training provide students with opportunities to prove themselves in the workplace and to learn about workplace cultures. Students who have performed well during work-based training are often offered jobs upon graduation.